​Luka Modric admitted that he hopes to stay at Real Madrid for years to come after scoring in Los Blancos’ 2-0 win over Sevilla on Saturday. The Croatian midfielder sealed the three points for Santiago Solari’s side with an opportunistic finish at the Bernabeu to round off a hard-fought win at the Bernabeu. After the game, ​Modric admitted that he remains happy with the club and hopes to remain in the Spanish capital. As quoted by ​Marca, the 33-year-old said: “I have a year and a half left on my contract and I am calm, as that’s a long time. The Ballon d’Or winner was among the standout performers throughout his side’s crucial victory on Saturday and said of ​Madrid’s performance: “I am very happy and think we played a great game. “We are happy with our play and happy with the three points. We need to follow this path. “Every player had a great game and our fans want to see us like this. We needed a match like this one to give some joy to ourselves and to the supporters. 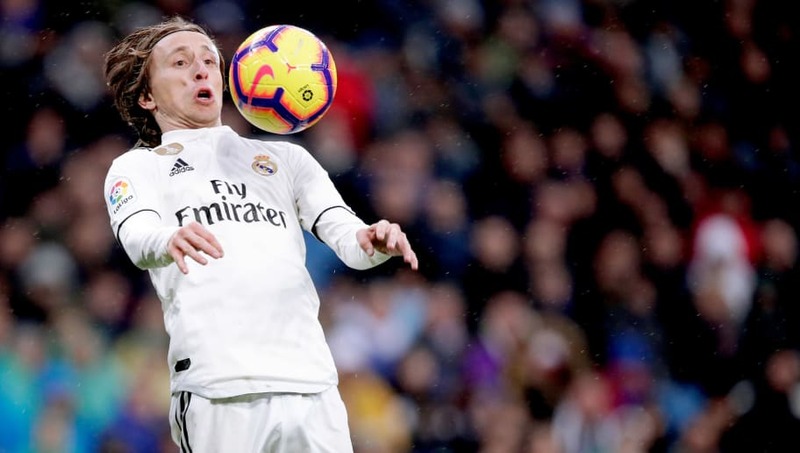 Despite the victory, Los Blancos remain seven points adrift of league leaders ​Barcelona, who have a game in hand, and Modric insisted that his side are not thinking too much about the La Liga title race. “We don’t need to think about Barcelona or about how many points we have,” Modric insisted. Real Madrid host Girona in the first leg of a Copa del Rey quarter final clash on Thursday before returning to La Liga action three days later away to Espanyol.